This includes main 24-megapixel sensor with f/1.7 aperture, 10-megapixel Telephoto lens with f/2.4 aperture for 2x optical zoom, 8-megapixel 120° Ultra Wide Lens for wide-angle photos and the fourth 5-megapixel camera to capture depth information for portrait shots. It also has a 24-megapixel front camera with f/2.0 aperture. has a rear-mounted fingerprint scanner, Packed by a 3,800mAh battery with support for fast charging. 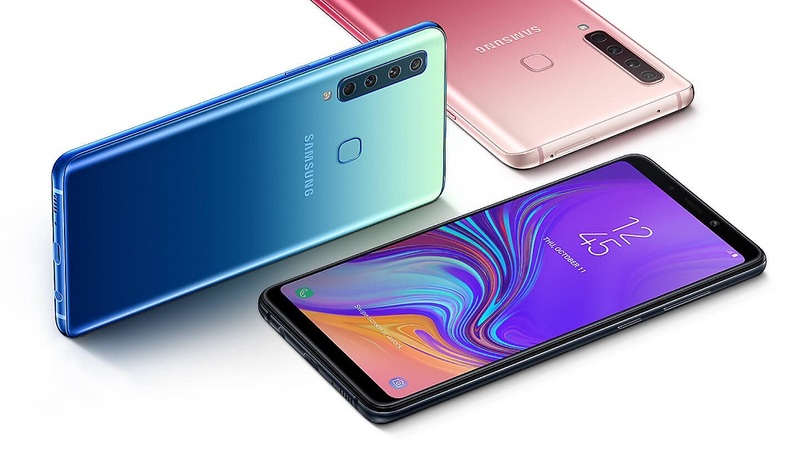 Samsung Galaxy A9 (2018) comes in Caviar Black, Lemonade Blue and Bubblegum Pink colors Price starts at 599 Euros in Europe, 39990 rubles in Russia and £549 in UK and will roll out from November 2018 in select markets.